Advanced-grade composite and OverDrive supply unprecedented pedaling and cornering stiffness, on an endurance geometry for all-day riding at speed. 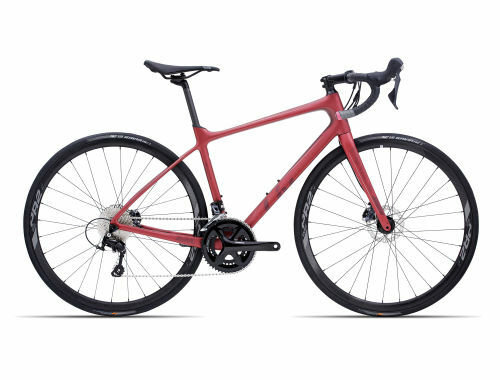 Combines the weight-savings and stability of an Advanced-grade composite, compact road frame design with powerful disc brakes for expert handling and control, no matter the weather and road conditions. Tackles the roads less traveled with larger-size tire compatibility, and a D-Fuse seatpost to soak up bumps. Advanced Composite frame with women’s-specific carbon lay-up for a perfectly tuned ride that is lightweight and responsive. A toptube that slopes downward from the headtube to the seattube reduces the size of the front and rear triangles. Smaller triangles create a lighter, stiffer bike. Designed to offer precise steering performance, stiffness and control the system’s oversized headset bearings and tapered steerer tube provide ultimate steering performance. The proprietary “D” shaped composite seatpost dampens vibration, resulting in a smooth, compliant ride. 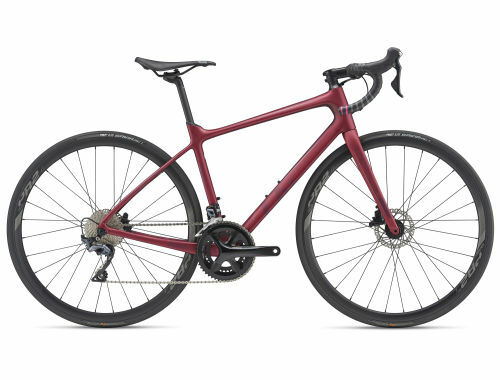 Specific composite layup and tube shaping, including ultra-thin and flattened seatstays, a low seatstay/seattube junction, and thin, slightly curved fork legs combine for a balanced, compliant ride quality and reduced rider fatigue. High-performance hydraulic disc brakes mean greater control for precise handling and increased stopping power.Advanced-grade full composite fork for low weight and precise steering. A massively oversized bottom bracket/chainstay area features a fully integrated, 86mm-wide BB design. Asymmetric chainstays provide additional stiffness on the driveside and stability on the non-driveside. Liv and Giant’s chainstay-integrated, wireless data transmitter can be added to this bike to send wheel speed and cadence information directly to any ANT+ compatible computer.